Discover Lehigh Valley welcomes visitors to experience its unique indoor attractions and thrilling outdoor adventures. LEHIGH VALLEY, Pa., January 24, 2019 – With winter in full swing, many people are fighting the urge to hunker down and hibernate. What better way to beat the winter blues than with a visit to someplace new? And, you don’t have to go far to find what you’re looking for. Discover Lehigh Valley®, the destination marketing organization dedicated to promoting tourism in Pennsylvania’s Lehigh and Northampton counties, shares the region’s best indoor and outdoor winter attractions. When the temperatures drop, stay indoors and discover the creative and educational family-friendly attractions that make Lehigh Valley unique. At The Crayola Experience, families are immersed in a world of brilliant color and creativity. Bursting with four floors of 26 colorful, hands-on activities, including the Stomp and Play interactive floor, the Crayon Factory Show, Adventure Lab, Water Works, and the new Silly Selfies Station to name a few, families can spend a full day fostering creativity and encouraging their budding artists. The Da Vinci Science Center, an interactive science museum whose mission is to bring science to life and lives to science, has a little bit of everything for little geniuses. Whether exploring the KEVA plank design studio, the engineering play place and climb space, or the weather forecasting simulator, a child’s dream career as an architect, engineer or meteorologist could be just a visit away. Its STEM-focused exhibits and events are designed to embrace playful curiosity, entrepreneurial exploration, active learning, and occasional silliness, ensuring an educational and rewarding family visit. Don’t hibernate after a grueling workweek. Pack a bag, grab a few close friends and head to Lehigh Valley for a long weekend of entertainment and libations. 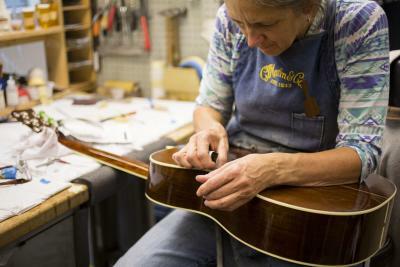 Start on a Friday touring the Martin Guitar Factory Tour and Museum to witness the beautiful craftsmanship and behind-the scenes look at how these iconic guitars are made. Featured in USA Today as one of the Great American Factory Tours, this is one experience that can’t be missed. In the evening, kick things up a notch with a stay at Sands® Bethlehem, home to state-of-the-art table games and slots, as well as live entertainment seven nights a week, outlet shopping and exceptional dining. Beer, wine, and spirits are plentiful across Lehigh Valley and visitors enjoy taking the time to sample these local libations. A trip on the Lehigh Valley Ale Trail offers many craft brews infused with locally-grown ingredients and unique flavor profiles. If a crisp or robust wine is preferred, make a few stops along the Lehigh Valley Wine Trail, a collection of eight family-owned vineyards and wineries, and sample award-winning wines made from a variety of grapes, including the region’s signature Chambourcin. The perfect end to a day on these trails is a calm and truly cozy stay at the Glasbern Inn where visitors can enjoy world-class accommodations, rejuvenating spa experiences, and delectable farm to table cuisine. Outdoor enthusiasts can bundle up and explore the many different levels of trails throughout Lehigh Valley. Whether it’s cross country skiing, snowshoeing, horseback riding, biking, or hiking, Lehigh Valley trails are packed with action and Insta-worthy snapshots ready for the taking. For cross country skiing, visit the Delaware & Lehigh National Heritage Corridor, an area rich in railroad and canal history. The 165-mile long Delaware & Lehigh trail welcomes winter adventurists to discover the multi-use trail and local history. Another option is Jacobsburg State Park, which has more than 18 miles of trails and provides the perfect terrain for winter trail rides and other excursions. For more serene landscapes, experience Lehigh Valley’s covered bridge tour, home to seven of the more than 200 covered bridges in Pennsylvania. 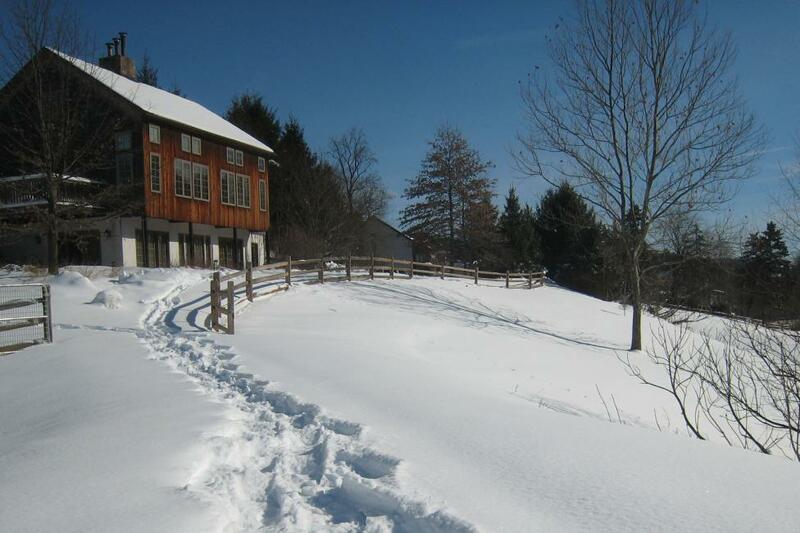 For more Lehigh Valley winter getaway recommendations, visit DiscoverLehighValley.com/Winter or for photos of these locations, click here. Follow @LehighValleyPa on Facebook, Instagram, and Twitter. Established in 1984, Discover Lehigh Valley® makes Lehigh and Northampton counties a premier destination through marketing and image building that increases the number of visitors, the number of nights they stay and the number of things they do in the region. Discover Lehigh Valley’s official visitor website and blog, DiscoverLehighValley.com and LehighValleyInSite.com keeps locals and visitors abreast of all things happening in region. Visitors can explore things to do, upcoming events, themed itineraries and hotel packages. Compelling photography and videos, brochures and detailed visitor information make the sites effective trip-planning tools. Along with Discover Lehigh Valley’s social media channels, the online platforms communicate directly with consumers. Travelers can also call and stop into one of the many visitor centers for additional information. Set amid gentle hills and charming country sides, Lehigh Valley, Pa. is home to Allentown, Bethlehem and Easton, as well as dozens of small towns and picturesque boroughs. The region is steeped in pre-Colonial, Early American and industrial history. Lehigh Valley has an impressive range of tourist attractions including nationally-recognized events like Musikfest, wineries and breweries, the Lehigh Valley Zoo, outdoor activities, world-class sporting events, 10 colleges and universities, and is home to America’s favorite brands such as Crayola®, Peeps®, Mike & Ike®, Martin Guitars and Mack Trucks. The region offers a diverse array of memorable things to do and plenty of dining options to fit every budget and taste. And, it’s easy to get to and around. Lehigh Valley is located approximately 60 minutes north of Philadelphia and 90 minutes west of New York City by car.